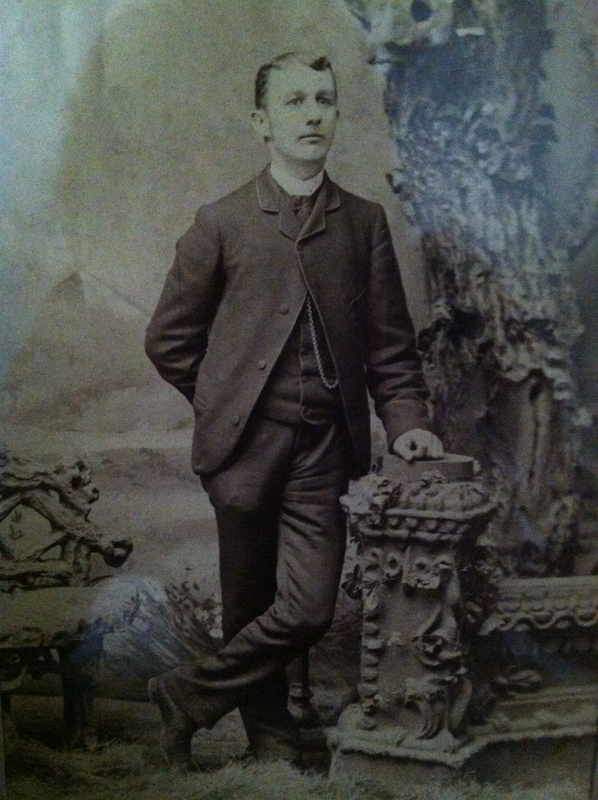 Samuel Brinser Martin 1863 -1957 Victorians didn’t smile for photos! Wiry Grandpa Martin, was a jolly little man. He had an Old MacDonald-type farm with chickens, a couple of cows, two horses, and maybe a pig though I never heard an oink-oink-oink either here or there. Theirs was a Jack Sprat-type union, with his wife Mary as generous as she was ample. Great Grandma Mary died before I was born, so I never met the big-hearted woman who often invited strangers to the family table. My Grandma Longenecker’s dad, Great-Grandpa Samuel Brinser Martin, came to live with his daughter Fannie and grand-daughter, my Aunt Ruthie, in his later years. My sisters and I found him curious and amusing. Great-Grandpa Sam has no teeth to speak of. What he had were rotted and drew his mouth into an O like an old mountaineer’s. After meals, he shook some salt into his hand, threw his head way back, opened up and sucked in the salt. It made a loud POP, his mouth an echo chamber. He came to Grandma’s house toothless, blind, and deaf but not dumb. He was smart enough to know that we stole candy from his stash below his Emerson radio turned to high volume with static near the kitchen window. When he offered us pink Pepto Bismol-like lozenges, we snuck back and snitched the chocolate covered mints. Both his eyes were blind, but one eye was glass and sometimes rolled out of its socket and onto the green, beige, and brown blocked linoleum floor where it picked it up speed. There were other sneaky things, too, some not involving us. His minister from Geyers Church near Middletown, Pennsylvania would visit, coming in the door with a Bible under one arm and a long, flat, telltale something or other in a brown bag under the other. As the minutes went by the laughing and talking in the upstairs bedroom got louder and louder, revealing the effects of the liberal libation of liquor the two were imbibing, for medicinal reasons of course. We observed the literal interpretation of the biblical teaching that “A merry heart doeth good like medicine.” Obviously, his preacher friend was not a strict Mennonite like us nor in favor of prohibition or abstinence. 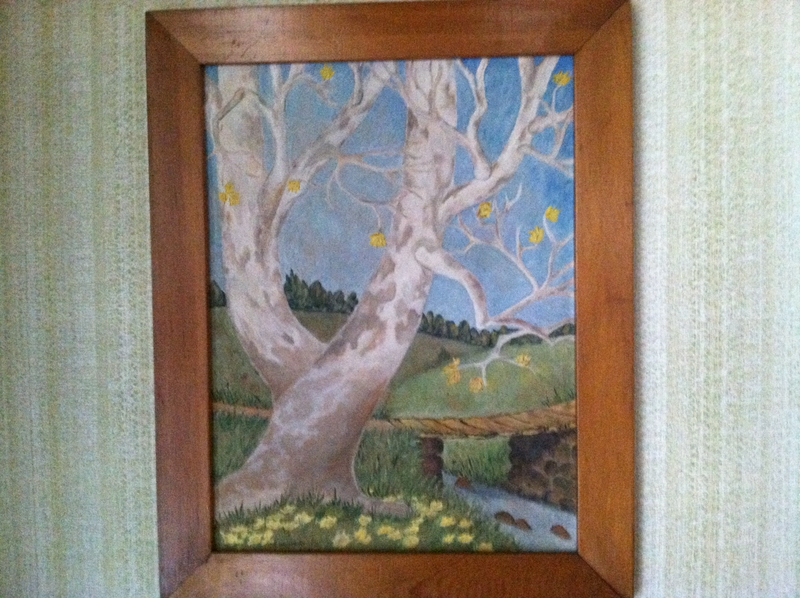 Grandpa would tell us often: “There’s no feller quite so yeller like my liver.” Then a guffaw! He could pack a punch too. Asking me to make a fist to show my muscle, he’d pound the little mount of bicep flesh hard enough to make a dent. When he died, there was a quiet spot near the bay window in Grandma’s kitchen – no candy – no tricks – no loud music. We missed Grandpa Martin. We all have relatives, past or present, who are curious and interesting. We’d like to hear about yours! Your comments welcome. I will always reply. Marian, you make your characters so real with these details. I can see that eyeball rolling on the floor! I don\’t think that\’s what Emerson had in mind when he recommended that we all become transparent eyeballs. Those ancestors you write about and most of us have lived with privations we would consider intolerable — no teeth, natural or dentures — an eye that rolls out on the floor. Yet they were presences. They were missed when they were gone. His bill will hold more than his belican. But I\’m damned if I see how the helican. We start out thinking that our experiences are unique, especially if we grow up in a sub-culture like our Mennonite one. And then somewhere along the way, we realize that we are like others than we thought. You have literary genes vibrating through your heritage. In BLUSH, I easily recognized that your mother had a love of learning and imagining. Now I see that Grandpa Hess was part of her inspiration. He probably enjoyed the cursing woven into the lines! It would be interesting to trace this predisposition back even farther in your genealogy–the literary, not the profanity, of course! I noticed that your new post is headlined with one of my favorite paintings by Vermeer and then literary allusions. Soon I\’ll be dashing off for an appointment, but I do intend to read it thoroughly and comment on this beautifully wrought post. As always, thanks for the comment. I love reading about your patient, Great Aunt Belle, and grandfather. All these stories that would fall by the wayside if it weren\’t for writers like us who record our memories. It\’s such a cliche, but so true: Without the internet and platforms like WordPress we may be less inclined to write and certainly have less opportunity to share our stories. Thanks, SK! It is an awesome thing that those gone by can be remembered in this way. Thank you for the memories. I\’m thrilled that you commented today, Judy. Feel free to share stories from your own Tennessee childhood any time. It seems we all have colorful, quirky relatives to talk or write about. Thanks for stopping by. Marian, you sure do have a way with words. I remember your Great Grandpa Martin sitting by the radio. Do you remember when I would come for a visit in the summer and we would walk to your Grandma\’s home with Janice and Jean? My Grandma Zug had a glass eye but I didn\’t know about it until she passed away. She was blind when I was born so she would feel my face and touch the top of my head to \”see\” how tall I was growing. When she passed away and after Grandpa passed I helped my Mother clean out the house. I was going through Grandma\’s drawers in her bedroom and found this small black box. It looked like a ring box but when I opened it this eye was staring back at me. Well, I screamed because I was expecting to discover a pretty ring. Mother just laughed at me. With my experience with Grandma I promised myself if I had grandchildren and was blind I would NEVER feel them to \”see\” their faces. I thank God I am not blind and am able to see and enjoy my grandchildren. Keep writing your memories as they bring back some for me and I always enjoy reading your stories. Thanks for reading and for commenting too, Gerry. I had no idea that you met our Grandpa Martin. The story of your Grandma Zug is priceless. I have a feeling you have some great stories tucked away about your Grandma, your talented seamstress Mother and your one-of-a-kind Dad. You might want to start just with a pen and paper journal or even a WORD document on your computer. You could add stories or just little snippets as they come to mind. I always appreciate your reading and commenting on the posts, sharing some \”insider\” views as a cousin. Thanks so much! What a character your Grandpa was. A Mennonite who loved to take a little slug and laugh about it. My paternal grandparents lived in Missouri where I lived until I was 12. I\’ve written a few posts about them and my love for them and the farm. In 1968, I married a dear man who wanted land and we bought 70 acres in the Finger Lakes of NY. (I feel my grandmother\’s influence in some parts of my life–gardening, cooking, and a need for creativity. She was an excellent pianist and had a trained contralto voice from her girlhood in Chicago.) A few miles north of my land, many Mennonites and Amish bought and saved old farms. I\’m grateful for their contribution to the rural beauty. Such lovely neat buildings and gardens–and a great organic Amish market. Yesterday, driving through this area, I took photos of gorgeous work and carriage horses grazing in the fields to share at FB in coming days. I look forward to reading more of your stories and how you fit or didn\’t fit your two worlds together. Thanks for your details comment, Elaine. I\’m glad you married \”a dear man who wanted land.\” It\’s obvious you have a deep regard for the land and its beauty and bounty. I look forward to getting to know you better through your blog posts as well. I loved the story of Great Grandpa Sam–it made me reflect on how differently parents and grandparents live their older years today. In many cases they are conveniently tucked away in a nursing home, in most cases well cared for but often neglected. 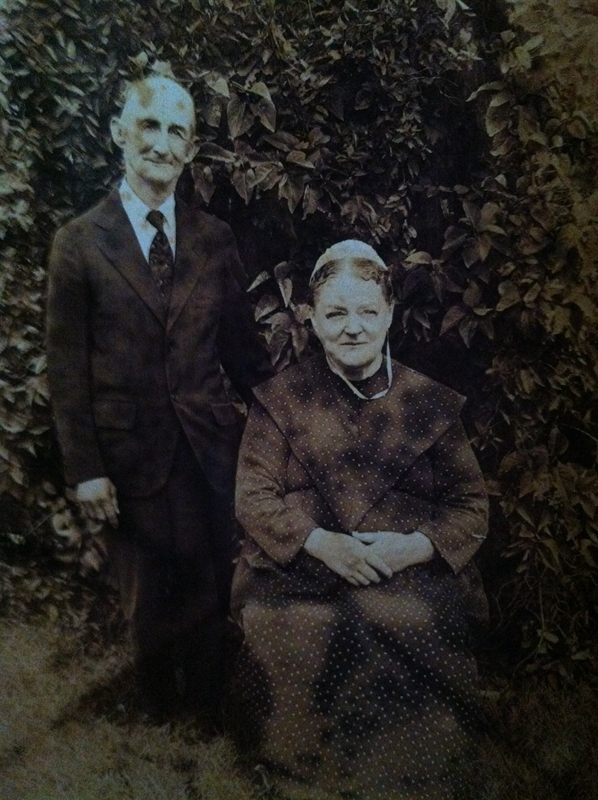 l don\’t have such memories of grandparents as rolling eyeballs (!) but I do remember my grandmother coming to stay with us for a few weeks on a schedule of stays in the homes of her children. When my parents could no longer live independently, we discussed moving them to a nursing home and even visited one to consider it a possibility for them. When one of my nieces heard about it she said, \”Don\’t do it; I will offer my home for them if need be.\” Eventually my older sister and her husband set up a space in their roomy farmhouse, thereby keeping my parents in familial surroundings. We all supported her with visits and in other ways, and my both parents were able to spend their last years within the comforts of home. I hear what you are saying. I\’m glad your parents were able to stay in family surroundings. Our wish for Aunt Ruthie was that she could remain in her own home with my brother Mark caring for her with the aid of a housekeeper. But because of her advancing dementia, the arrangement was no longer feasible, so she now lives with wonderful people at Landis Homes. She gets visited often, but I am sad that she won\’t have her wish to stay in her own home to the very end. My mother is still living independently at age 95 with some assistance. We cherish the time we have with both of them. Thanks so much for stopping by and commenting, Verna. You had me with the title 😀 The oil painting you featured was also a treat. I love the way you blend the stories and photos for one cohesive whole. Like you, I like to blend the visual with the verbal. We\’re creating works of art, Traci. Marian, your writing is a joy to read. The details of your family members and their lives is filled with words that paint pictures much like the oil painting you shared with us. There is color, vivacity, character and lots of personality! I can\’t wait until you pull all this together in a memoir. Well, this month I am trying to organize my \”random snippets\” as I call them into something more thematically coherent. I\’m so thankful I have someone like you on the other side of the screen cheering me on. The sentiment is mutual, my new friend. Not so long ago, it would never have been possible to make such connections! Thanks for stopping by.